The second Affordable Art Fair of the year in Hampstead is the little sister of the Battersea Park original which occurs in spring and autumn. Held in a marquee on the Lower Fairground Site on Hampstead Heath over a May weekend, there are over 100 galleries under one roof, exhibiting paintings, original prints, sculpture, etchings and photography from both established names and emerging talents - all priced from £100 to £6,000. 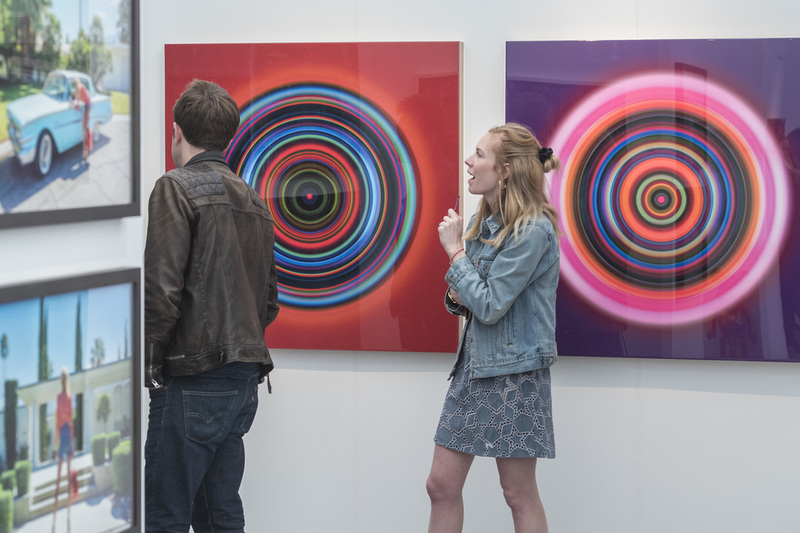 It's the ninth consecutive year the Affordable Art Fair has come to Hampstead in its 14-year history with artists and gallerists presenting workshops and talks. Thursday is the Late View, an evening of art and activities with music and wine as well as art and sculpture demonstrations. What are the best dining options near Affordable Art Fair Hampstead London? Affordable Art Fair Hampstead gyms, sporting activities, health & beauty and fitness. The best pubs near London Affordable Art Fair Hampstead. Affordable Art Fair Hampstead clubs, bars, cabaret nights, casinos and interesting nightlife. Where to have your meeting, conference, exhibition, private dining or training course near Affordable Art Fair Hampstead. From cheap budget accommodation to luxury 5 star hotels see our deals for Lower Fairground Site hotels, including Holiday Inn Camden Lock Hotel from 80% off.